Meet the musicians who make the music that makes our wonderful concerts! is unique in the Denver metropolitan region – a vocal ensemble consisting of five male voices focusing on music of the Renaissance and modern period. The singers bring a joy of music to their audiences and have brought both early music and popular tunes to young and old alike. Solis performs in churches, concert venues, and works in collaboration with other arts organizations. The group was established in 2016 with the name Uomini Vecchi. Solis continues to use a vocal lineup of soprano, alto, tenor, baritone and bass. This unique set of five male voices lends itself to music of the Renaissance. Solis is working toward becoming a repertory ensemble for performances of new music written specifically for them. New pieces by up-and-coming young composers as well as published and well-established composers will be added to the groups repertoire. The singers are currently undertaking a recording project of the entire vocal motets of the Renaissance composer Orazio Vecchi, most of which have never been performed, let alone recorded.as well as modern arrangements of popular tunes. The extreme vocal range of the ensemble makes listening to their recordings and attending their concerts fascinating opportunities for lovers of music from all times and places. is an amazing ensemble made up of university professors, recording artists, soloists, conductors, chamber musicians and symphony players. They are active as teachers and performers on both period and modern instruments, and many are directors of their own ensembles specializing in early music, romantic music, new music, jazz, and Gypsy swing. is an award-winning and critically acclaimed artist and teacher who performs repertoire from the Baroque era through the music of today. He has performed as soloist with orchestras across the United States and has been heard on National Public Radio’s “Performance Today.” His orchestral experience includes Grammy-nominated performances with Philharmonia Baroque Orchestra in the San Francisco Bay Area, and in New York City at the Mostly Mozart Festival at Alice Tully Hall, in the Jazz at Lincoln Center series, and the New York String Orchestra at Carnegie Hall. 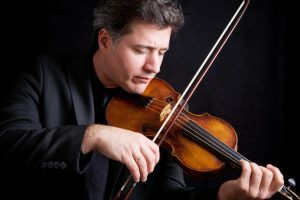 As a recitalist, he has appeared at numerous summer festivals and concert series in the United States and Asia and has toured extensively in Europe with orchestras and chamber groups. While in the doctoral program at Stony Brook University, he won the prestigious Ackerman Prize for Excellence in Performance and performed the Berg Violin Concerto under the baton of Gunther Schuller. A winner of national honors from the American String Teachers Association and the National Federation of Music Clubs, he has been awarded fellowships with Aspen Music Festival’s Contemporary Ensemble and the New York Institute and Festival for Contemporary Music, where he performed with pianist Ursula Oppens and Speculum Musicae. He is an active chamber musician, including national touring with the Colorado Piano Trio and in the baroque duo “Corde à vide” with Sacramento State University harpsichordist Dr. Lorna Peters. Dr. Fulks is excited to join Dr. Peters as violinist and leader of “Sinfonia Spirituosa,” a professional baroque chamber orchestra in Sacramento. 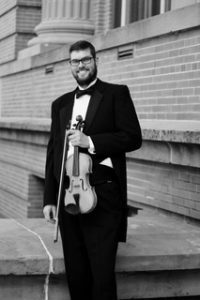 Currently Associate Professor of Violin at the University of Northern Colorado, he served previously on the faculty of the University of Alabama and at Luther College in Decorah, Iowa. Dr. Fulks has also taught at the State University of New York-Stony Brook, and conducts master classes at universities throughout the country. During the summer months he is on the faculty of Green Mountain Music Festival in Burlington, Vermont and has been a faculty member at Montecito International Music Festival in California, Lutheran Summer Music Festival in Iowa, and Kinhaven Music School in Weston, Vermont. Dr. Fulks holds Bachelor’s and Master’s degrees in violin performance from the University of North Carolina School of the Arts where he studied with Kevin Lawrence, and the Doctor of Musical Arts degree from the State University of New York at Stony Brook, where his teacher was Mitchell Stern. founded the Baroque Chamber Orchestra of Colorado in 2005, and the ensemble quickly garnered acclaim for its “artistic vision, authenticity, and devotion” under his leadership as Artistic Director and harpsichordist. Founding the orchestra fulfilled a long-held dream to expand the Denver arts scene to include a professional orchestra devoted to historically inspired performances of music from the 17th and 18th centuries. 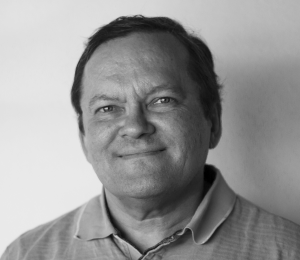 An active performer as a Baroque keyboard specialist and “early music entrepreneur,” Mr. Nowell was previously co-founder of the early music group Diverse Passions and founder of the Denver Handel Festival. He is a frequent guest artist, collaborator, and soloist, including recent or upcoming appearances with the Cottonwood Music Festival, American Guild of Organists Regional Convention, Colorado Symphony Orchestra, Off the Hook Chamber Music Festival, Pro Musica Colorado, Denver Early Music Consort, and St. Martin’s Chamber Choir. As an organist he earned Associate certification (AAGO) from the American Guild of Organists and has recorded on the Cygnus label. Mr. Nowell serves on the Board of Directors of Early Music America and as chair of EMA’s Education committee, and takes joy in introducing people of all ages and backgrounds to Baroque music, as well as collaborating with a wide range of artists and art forms to bring new dimensions to this music. He received the Master of Music degree from the University of Colorado, and a Bachelor of Arts degree with honors from Princeton University. is praised by the Baltimore Sun for her “beguiling musicality.” She is a frequent guest artist on viola da gamba and has performed in the Bach St. John and St. Matthew Passions with the Cleveland, Philadelphia, and Minnesota Orchestras. She has been a guest at numerous Bach Festivals including Oregon, Bethlehem, and Boulder, as well as internationally in Germany, the Czech Republic, and Turkey. 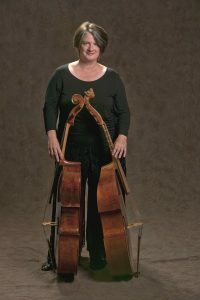 In recent seasons she performed with The Cleveland Orchestra as viola da gamba soloist in Bach’s St. John Passion and in the Bach St. Matthew Passion with the Colorado and Quad Cities Symphonies. Often a collaborator with tenor Nicholas Phan, she is the violist da gamba on his album “A Painted Tale”, performing in Carnegie Hall, in Istanbul, and this past season with members of Apollo’s Fire: The Cleveland Baroque Orchestra, and at the Chautauqua Institute (NY). The Colorado Chamber Players and Colorado Bach Ensemble welcome her this season, performing on cello, cello piccolo and viol. 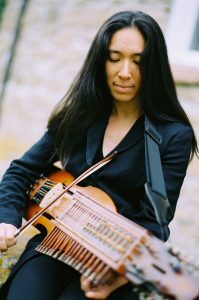 To see a list of her recordings, watch YouTube videos, and stay informed of upcoming events and news, please visit her website, stringperformer.com. has toured nationally and internationally as a solo violinst and nyckelharpist artist and collaborator. Her current projects include “Kaleidoscope” with Ty Burhoe and Bill Douglas; “7th Generation Band” with Victor Mestas, Beth Quist, Jon Sousa and Joy Adams; A trio with Roger Landes, Sandra Wong and Beth Gadbaw; A trio with Steve Mullins and Doug Walters; a duo with Anne Marie Morgan and collaborations with a wide breadth of musicians working with diverse genres of music. Sandra creates and personally facilitates musical study trips to different countries leading people into the heart of individual folk cultures through the music and dance of each country. She strives to nurture a deep love of music and the arts in both children and adults. Sandra teaches privately and in group settings in Boulder, Colorado, via Skype and wherever her music takes her. Sandra is passionate about sustainability and donates a percentage of all CD sales and concert ticket sales to organizations working to create sustainability in all aspects of life; environmental conservation, species protection, alternative energy innovation, education, equal rights, and more. Her skills include multi-instrumentalist with a focus on violin and nyckelharpa performing Classical (solo and chamber), Jazz, and World Music Styles including but not limited to Swedish, Norwegian, Irish, Old-Time, Bluegrass, Cape Breton, French-Canadian, Middle-Eastern, Sephardic, Klezmer, Flamenco and Andalusian music; music composition; improvisation; cultural/musical study trip creator and leader; and recording artist. earned bachelor’s and master’s degrees in guitar performance from University of Cincinnati College-Conservatory of Music and Arizona State University, respectively. He has been a regular member or guest lutenist and viola da gambist with many Early Music ensembles in the Southwest, such as Musica Dolce, Helios, and Musica Sonora, as well as a soloist on guitar and lute. After moving to Denver from Phoenix in 2016, Scott formed the Chimera Consort, currently concentrating on lute duet and lute/viol repertoire, with Denver lutenist Diana Linger. Scott is enjoying studying viola da gamba privately with Ann Marie Morgan. Sharing the subtle beauty of Early Music with new audiences and aficionados is his driving passion. is composed of Sarah Biber, Stacey Brady, Karl Reque, Sandy Miller, Kari Epstein, and Hannah Robbins. They play together frequently on viols and modern instruments around Denver in the freelance scene. For their February 8 concert, they present “Songs and Dances,” a program focused on stealing vocal and dance repertoire from the early Renaissance to late Baroque to play in viol consort. They borrow and steal with equal opportunity from obscure volumes of lute pieces, well-known songs by Purcell, and the rock-bed of surviving pieces from the English Renaissance. Each piece is a gem in its own right, preserved in music history like a fly in amber, oftentimes a strange and accidental relic of a complete stranger. In the romantic era, composers achieving rockstar status burned music they didn’t want to be canonized by future audiences. Golden Viols plays music from more anonymous sources, the composers leaving the music to us in most circumstances virtually uncurated. These composers almost certainly didn’t expect their tunes to have found their way to a Happy Hour concert on a continent unknown to them! And as a special treat, the group will premiere the new work for viol consort, “Songs and Dances,” by Colorado composer, Sean Brady. It is a virtuosic and irreverent take on the viol repertoire – an exciting contrast to hear a contemporary work performed on comparatively ancient instruments. has performed as violinist and conductor in more than twenty-five countries on four continents, and has established a reputation for presenting dynamic and diverse programs which feature repertory from the seventeenth to the twenty-first centuries. In the realm of Baroque, Classic, and Romantic Era period instrument performance, he has served as concerto soloist and guest concertmaster with Ars Lyrica (Houston), Musica Angelica (Los Angeles), American Bach Soloists (San Francisco), Arcadia Players (Northampton, MA), Bach Society (Houston), Holy Trinity Baroque Orchestra (New York), and has toured extensively with El Mundo (Berkeley), Aeris (New York), and Chanticleer (San Francisco). He has appeared as guest conductor with professional orchestras in the United States, Germany, the Czech Republic, Romania, and the National Symphony Orchestras of Moldova and Bolivia. Additionally, he conducted the first known performance of Giuseppe Antonio Capuzzi’s ballet music at the Rice University Shepherd School of Music Capuzzi Festival 2005, and conducted the first recording of Bolivian composer Gustavo Navarre’s Sinfonía at Sam Houston State University. Carrettín has resurrected and recorded (Cinnabar Records) numerous eighteenth-century works in manuscript during several research trips to archives in Bergamo, Milan and Venice. An advocate of diversity in music, Carrettín toured one-hundred cities with Yanni and performed at festivals in Norway, Oman, Argentina, Italy, and across the USA as music director and solo violinist with Project Bandaloop aerial dance troupe. Carrettín is the former Director of Orchestral Studies and Professor of Conducting at Sam Houston State University, Chamber Orchestra Conductor at University of St. Thomas, Interim Director of Early Music Ensembles at University of Colorado Boulder, and Guest Music Director of Eklund Opera’s production of Handel’s Ariodante.